Feliway Travel Spray contains a natural pheromone to help cats cope in stressful situations. 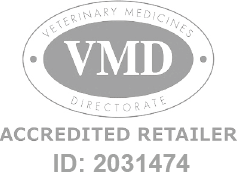 Feliway Travel Spray - 20ml is a Prescription Only Veterinary Medicine and by law requires a prescription from your vet. The new Feliway Spray lasts for up to 6 hours, with a specially designed formula in 20ml bottles. The spray can be used on areas that your cat will come into direct contact with, making it a safe and convenient treatment on the go.